A slump in supermarket sales in January has reignited concerns about the outlook for the $88 billion grocery trade as Woolworths, Coles and Aldi cut prices and open new stores to gain market share. Food and liquor sales fell 0.7 per cent seasonally adjusted in January and year-on-year growth slowed to 2.2 per cent, the weakest rate of growth since April 2013 and less than half the average 5.5 per cent annual growth rate over the past seven years. Analysts said the weaker-than-expected figures were partly due to lower food price inflation and an increase in the tobacco excise in December 2013. Nevertheless, they highlight the challenges facing the major grocery chains as consumers become increasingly frugal, forcing retailers to reduce prices and sacrifice margins to defend market share. The figures also fuelled concern about the so-called “space race” in supermarkets as Woolworths, Coles, Aldi and Metcash’s IGA retailers open new stores at a faster rate than market growth. Woolworths and Coles plan to open between 15 and 30 new stores a year, increasing selling space by about 3 per cent each. At the same time, Aldi is planning to open about 25 new stores a year on the east coast, representing space growth of more than 6 per cent, while Metcash’s IGA store network is growing around 1 per cent. Morgan Stanley analyst Tom Kierath and UBS analyst Ben Gilbert believe new stores are cannibalising sales from mature stores, reducing like-for- like sales growth, productivity and incremental returns. Woolworths’ same-store sales growth almost came to a standstill in the December quarter, slowing to 1.2 per cent from 2.1 per cent in the previous three months, triggering a management shakeup in groceries and prompting the retailer to divert more than $500 million of cost savings into reducing grocery prices and improving store service. The weak January retail sales figures coincided with the release of a report by ratings agency Moody’s, which says the rise of discounter Aldi represents a long-term threat to Woolworths and Coles. 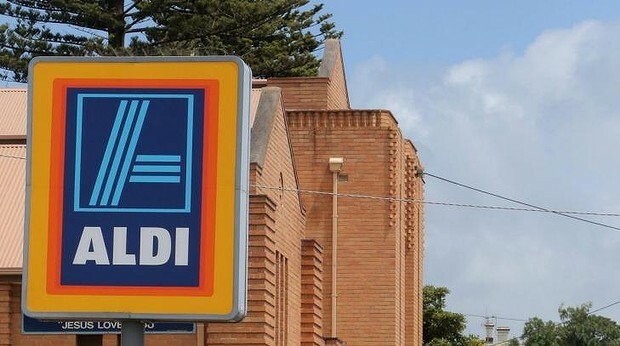 While Aldi’s expansion so far had come largely at the expense of independent retailers, its increasing acceptance by consumers and its “aggressive” growth plans would ultimately challenge the Coles-Woolworths duopoly, Moody’s said. “In such an environment and based on international experience with the growth of discounters, we expect the market shares and margins of Woolworths and Coles to come under pressure over time,” said Moody’s vice-president and senior analyst Ian Chitterer. Pointing to the impact of Aldi and fellow discounter Lidl in Britain, Mr Chitterer said margins at Woolworths and Coles were likely to rebase as they cut prices and invested in stores to protect their dominant market share. Woolworths and Coles enjoyed EBIT margins significantly higher than international peers, so they had greater flexibility to cut prices to close the gap with Aldi, he said. Woolworths’ EBIT margin of about 8 per cent is almost double the average of its international peers (4.2 per cent), while Coles’ EBIT margin of about 5.3 per cent is high by international standards.